Having your roof done is an important job. Don’t let just anyone tamper with your roof. It is an important part of your home’s structure, and only an Professional Roofing Contractor should tackle needed repairs and updates. Your roof is one of the most important yet neglected parts of your home. You don’t usually think about your roof until it starts to leak or gets damaged. If it is time to have your roof replaced our Chestermere Roofing experts will be happy to help you with your roofing project. 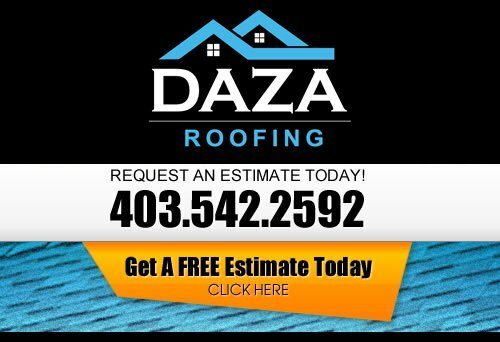 At Daza Roofing, our Roofing Contractor wants to be your Chestermere Roofer. 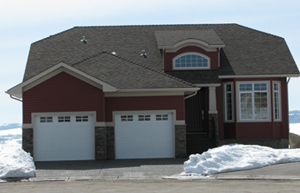 There are, of course, advantages to getting a professional Chestermere roofing company to do the roofing for you. The number one advantage of hiring a roofing contractor is that you will be able to get expert feedback on what materials you need, for both aesthetic and practical reasons. If you have any questions about damage to your roof, or anything to do with style, you will be able to speak with your roofing contractor. Before starting a Chestermere Commercial Roofing project get a contract. This should include all the details of the project, time frame for completion, and price. It should clearly outline payment policies and warranties. Read the warranty carefully to make sure you are adequately protected. Also, be sure the contract states they are responsible for clean up. Roofing materials can be very messy and you do not want to have to clean up and dispose of waste yourself. But keep in mind you can save yourself some money if you choose to tackle the cleanup process yourself. If you are looking for a professional Chestermere roofing company, then please call us today at 403-542-2592 or complete our online request form for a free estimate.